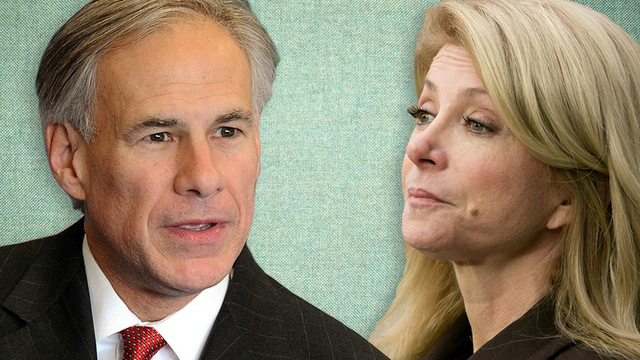 Democrat Wendy Davis has one more chance to share a debate stage with the Republican front-runner in the race for Texas governor, and if the recent past is any guide, she’ll use most of her hour in Dallas to crank up the heat on Attorney General Greg Abbott. The debate, which gets under way at 8 p.m. Tuesday, is the second of two televised encounters. At the last debate, held Sept. 19 in Edinburg, Davis issued one attack after another on Abbott, who mostly ignored her accusations and stuck to his rehearsed lines. “You expect them both to sort of take the same tack they took in the first one,” said Jim Henson, director of the Texas Politics Project at the University of Texas at Austin. He predicted that Abbott would keep trying to associate Davis with President Obama and warn that the Democratic state senator would bring Washington-style liberalism to conservative Texas. Meanwhile, Henson said he expected Davis to hit Abbott hard on the latest controversyinvolving misspending by the job-luring Texas Enterprise Fund, which has produced several days’ worth of highly unflattering news coverage for Texas Republican leaders, including the attorney general. A new independent poll on the governor’s race by the Texas Lyceum, scheduled for release Wednesday, should provide some clues about where the governor’s race is headed with about a month to go until the election. In this televised event, the candidates will be given more time than they had in the last debate to directly confront each other. Both will get to ask the other a question, and each of those exchanges is supposed to last two minutes. “The idea there is a two-minute conversation between the candidates,” said Rick Holter, vice president of news at KERA, the debate host. The debate will also feature a more extended exchange between the panelists and candidates by providing two lengthier question-and-answer sessions, lasting 90 seconds each, that will allow the panelist to follow up. There will be eight more traditional questions to the candidates, with one-minute responses and a 45-second rebuttal opportunity for the opponent. The debate organizers will also air a couple of questions from Texans who send in queries via email (debates@kera.org) or on Twitter, using the hashtag #texasdebates. Twitter messages will also run on the lower portion of the screen so viewers can see what type of questions and comments are making waves on social media. KERA is co-producing the debate with NBC 5, KXAS-TV, Telemundo 39 and The Dallas Morning News. Viewers can watch or listen to the debate across the state; C-SPAN will also cover the debate live, and The Texas Tribune will be livestreaming it. A list of TV and radio stations carrying the one-hour exchange can be found by consulting texasdebates.org, which has more information about the debate. Cal Jillson, a political scientist at Southern Methodist University, said the debate gives Davis one of her last opportunities to change the dynamics of a race that still leans heavily in Abbott’s favor. Disclosure: Southern Methodist University and the University of Texas at Austin are corporate sponsors of The Texas Tribune. A complete list of Texas Tribune donors and sponsors can be viewed here.